For a touch of Scandi style, a simple pendant lamp is all you need. 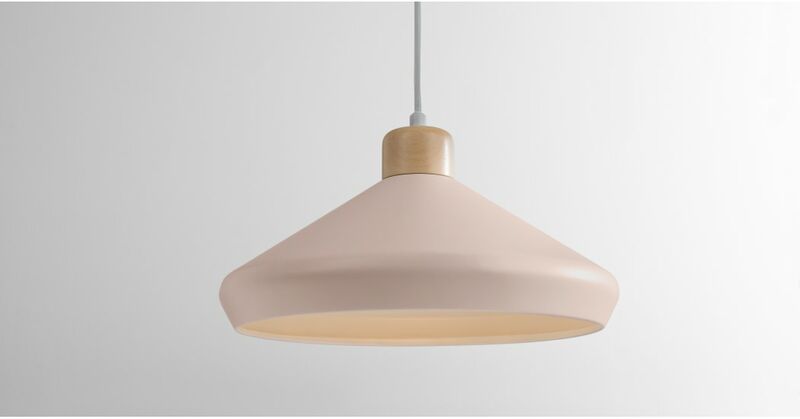 Featuring a rubberwood top and a powder coated metal shade in pink for a clean and minimal look. Designed in-house by MADE Studio to achieve a pared-back look. The shades are powder-coated inside and out for a seamless effect. The wide shade offers a vast pool of light without a dazzling glare, so it’s perfect in a space where you need lots of light, like over your breakfast bar.